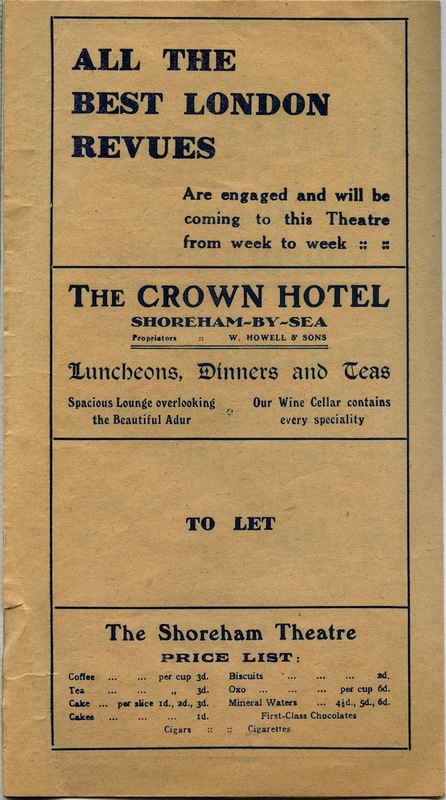 A rare programme of a musical comedy at the old Coliseum that once stood at the between Ham Road and Brighton Road next to the Ham. 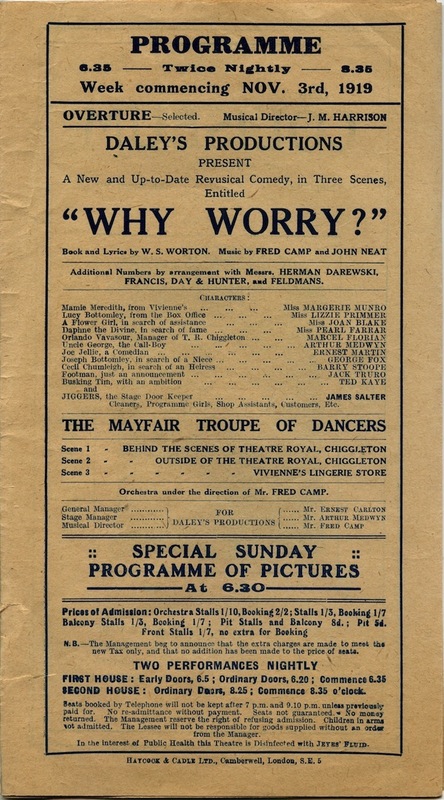 No local people seem to be involved and the performers appear to be a travelling troupe probably based in London that also toured the provinces. 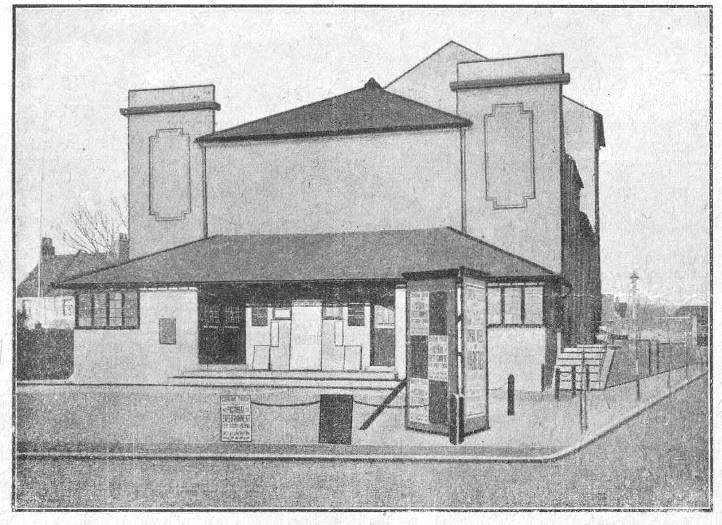 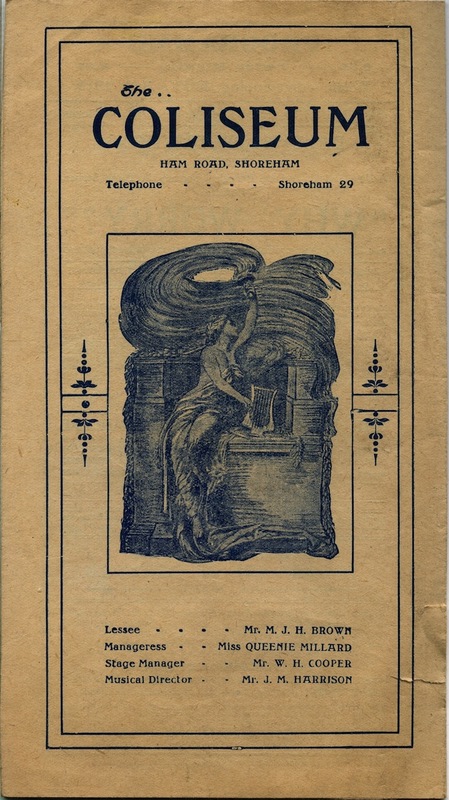 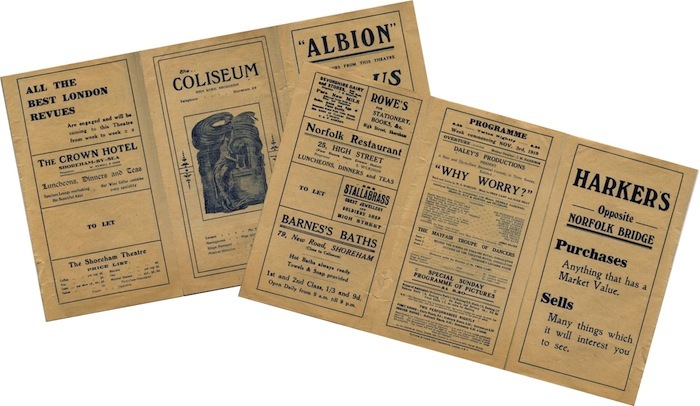 The theatre regularly staged revues from London and on Sundays supplemented these with a ‘programme of pictures’ – probably early movies that were later to replace the live shows entirely. 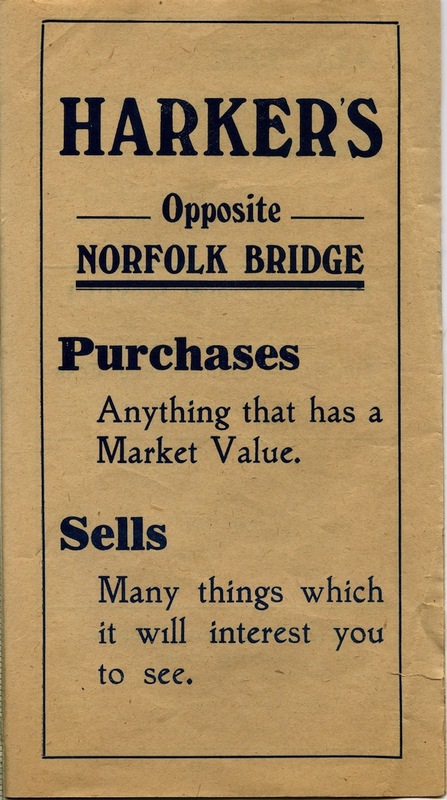 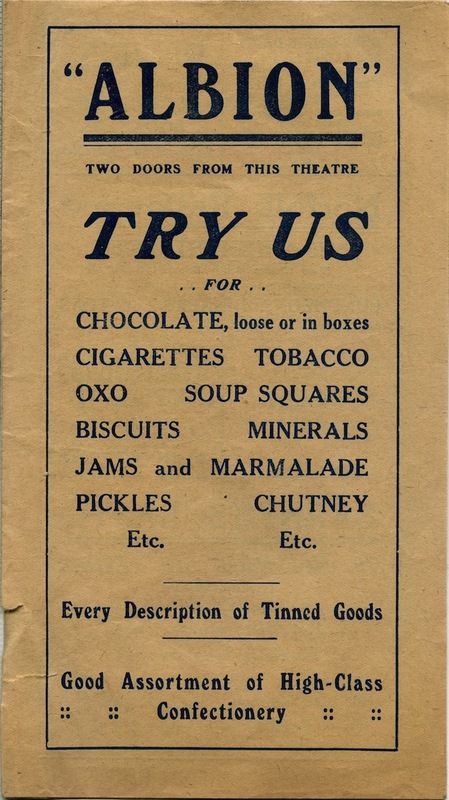 Cakes, biscuits and non-alcoholic drinks were sold at each performance and the management seemed to consider it necessary to include a note in the programme that the theatre was regularly disinfected with Jeyes Fluid! 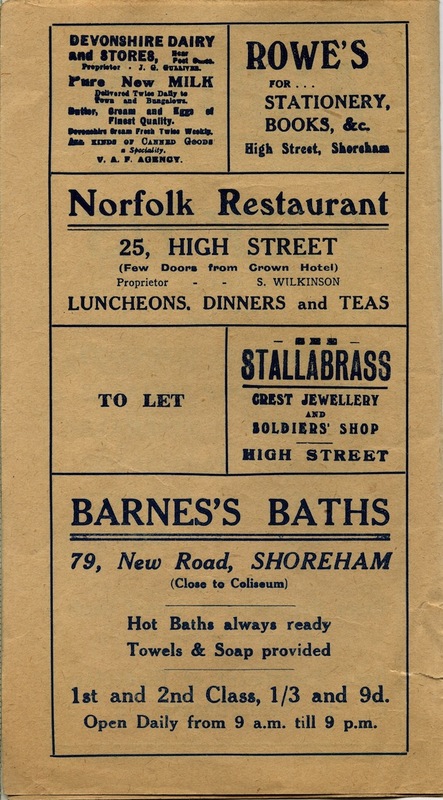 Familiar local businesses and shops of the period can be seen in the accompanying advertisements but one of lesser known was plumber Fred Barnes’ business – Barnes’ Baths two doors west of the Surrey Arms pub, that provided hot baths at a time when there were still many homes in Shoreham that did not have the luxury of piped hot water.